One of our restaurants, Piattino, showcases food and wines from different parts of Italy. This spring, we’re focusing on Sardinia. Native dishes include squashes, sheep and goat cheeses, wheat breads and pastas. When you’re ordering one of the region’s specialties, such as the pizza Sardinia (with sausage, roasted eggplant, mozzarella and pecorino romano cheese) or the orecchiette sugo (baked orecchiette with suckling pig sugo and pecorino romano cheese), consider which wines might complement the dish. 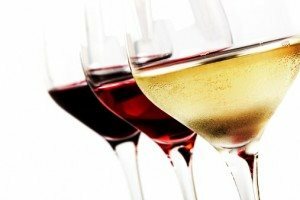 We offer several wines from Sardinia; Vermentino is the white, and Cannonau is the red. Vermentino is crisp with citrus notes, making it ideal for seafood dishes, like the cassola (cockles, squid, shrimp and flaked fish stewed in a San Marzano tomato and white wine broth). Cannonau is a perfect match for the meats and cheeses of the region. Another area of great Italian food is Naples. If you’re having a traditional neopolitan pizza—or a dish with seafood—consider a Greco di Tufo (a white wine) to cut through the fat of the cheese or seafood. For the Alto Adige region, which is big on dairy products and meats, you might try a light, citrusy Pinot Grigio; a sweet Gewürztraminer, which usually has floral notes; or the rich red Pinot nero, which has the intense aroma of dark berries and spice.